Residence applications are now available! Enjoy close proximity to a variety of campus hot spots, including: lecture halls, Place Riel, campus services and supports, and Culinary Centre in Marquis Hall. Maximize your potential through getting involved. In-house student leaders can inform you of Residence and campus programs and leadership opportunities as well as how to become an in-house student leader yourself. Experience being only a few steps away from numerous services and supports accessible to students free of charge. Your RA may also invite campus partners into your community for easier access, and can help you to connect with resources. Meet your academics needs with weekly in-house tutoring services along with the opportunity to connect with a faculty member who lives in the Residence community. Learn more about the resources that are available for students by visiting the academic support section. 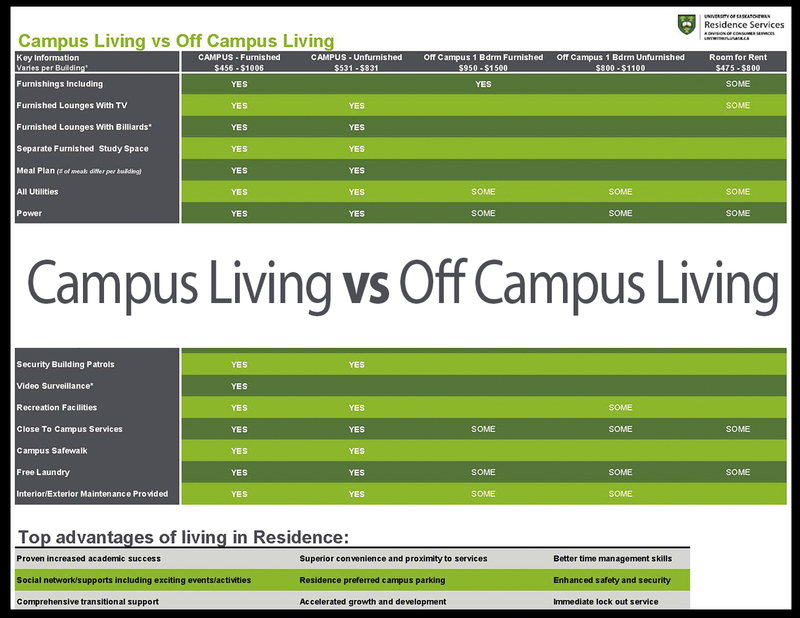 Benefit from student and professional staff members who live in Residence to provide on-going support, education, guidance, and to assist when concerns arise. Interested in becoming a student staff member? Learn more at the student staff section. Take comfort in a safe and security environment, in which all areas are patrolled and monitored by University staff. Supports can be reached at any time in the event of an emergency or urgent situation. For more information, visit the safety section.